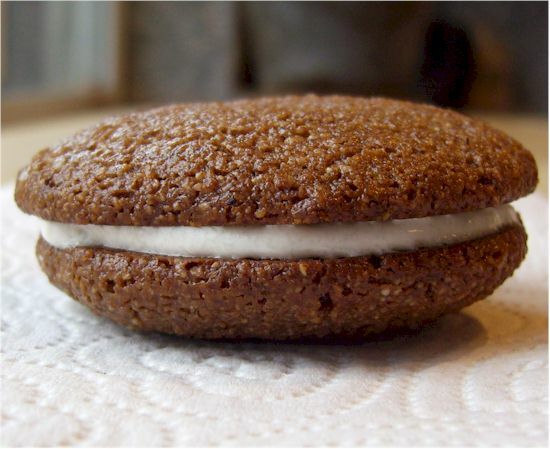 Spread two cookies with peanut butter or (vegan) cream cheese. (I think it would be fun to do (vegan) cream cheese for one side, peanut butter for the other). Place 8 pretzel “legs” on one cookie. Top the cookie with the other wafer. Use peanut butter or cream cheese to glue on 2 raisin eyes.